The boutique amp market has grown exponentially since the 1970s and early 1980s, when a mere handful of adventurous builders started venturing outside the big name norms. Today, there are more great tube amp manufacturers than most players can name, so the Reverb team thought it would be a good idea to round them up in a handy ongoing guide. Part III delivers one of the biggest names in the “second wave” of boutique building, along with five that have emerged in the years since. And hey, a polite reminder: this is an ongoing series, so if your favorite maker isn’t listed here or in either of the previous two parts, chances are they’re coming up soon. Feel free to make suggestions in the comments section, but rest assured there are a lot of great solder junkies yet to come. In theory, this series could really roll on until none of us can think of a single maker that’s been left out. This Nashville-based manufacturer is headed by Jamie Scott, a clever designer whose mad scientist-like nature belies the fact that he labored as a true rock warrior for many years before retiring to solder town, touring with major label bands in the 1980s and 1990s. In addition to the quality of their hand-wired workmanship, 3rd Power’s strength comes largely from the ability to reconceive elements of classic designs (the “ultimate British amp,” the “ultimate American amp,” for example) with scads of useful performance features for the gigging and recording musician. The company’s recent MkII range, for example, includes an extremely functional master volume partnered with a Stage/Studio switch that drops output power to 20% in the latter mode, nailing the contemporary need to achieve cranked tones at urban-acceptable volumes. The Dream amps come in either a two-channel format that combine two so-called Dream flavors—British Dream (Vox and Marshall), American Dream (brown-meets-tweed and blackface), Dream Weaver (tweed/blackface on toggle and British plexi) or super-compact one-channel amps like the Dream 50 Plexi and Dream 40 American. 3rd Power has also recently ventured into the studio and club amp arena with the Princeton-sized Woolly Coats Spanky, a 2x6V6 1x12" combo with optional tremolo and reverb. Scott puts a lot of thought into speaker cab design (and owns patents to that effect) in an effort to convey the true sounds of the amplifiers, with the goal of producing tone that comes across like a professionally mastered recording. Recommended For: Players seeking classic British flavors without being locked into a single template. Team up one former guitarist and one current high-profile touring musician, make them both obsessive gearheads, and what do you get? 65amps, of course. Founded in the early 2000s by Dan Boul and Peter Stroud, this California company was born out of a quest to package vintage-grade tone with enhanced versatility and “vocabulary,” as Boul likes to put it. It has been a major player on the boutique scene ever since. 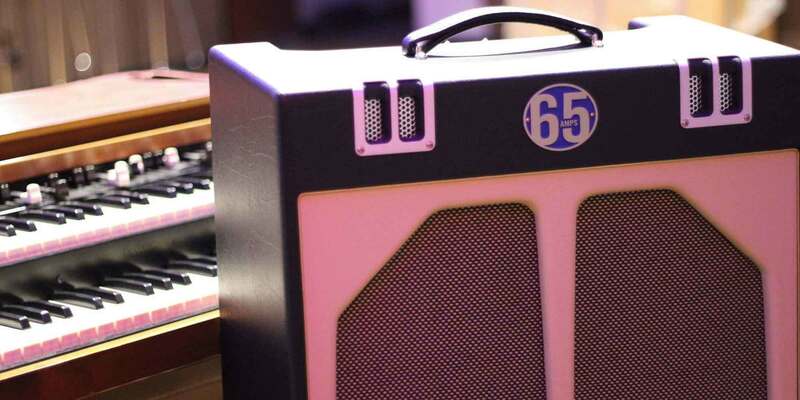 Hand-wired circuit boards, Mercury Magnetics transformers, and other top-quality components signal 65’s commitment to first-class craftsmanship. Many of the company’s early successes such as the London, the Soho, and the Lil’ Elvis leaned on Voxy EL84-derived British tones from the ’60s, but 65amps’ offerings aren’t limited to the right side of the pond. The Tupelo gushes with 6V6-based hot-rodded Fender-ish sounds, while the Ventura packs EF86-derived UK-meets-US tones into a fierce lunchbox-sized head. The Producer EL and 6L amps (using EL34 and 6L6 tubes respectively) represent a revolutionary design in the large-amp cap—or, more accurately, aimed at attaining large-amp tone at useable volume levels. It uses a custom lower-voltage power transformer to achieve classic ’60s tones from modern tubes, while also extending tube life dramatically, with a Master Voltage circuit to retain full-bore overdrive at reduced volume levels. Recommended For: Stellar tones from two channels—one Voxy EF86, one Marshally 12AX7—with excellent clarity and dynamics. English ex-pat Alan Phillips is a former GlaxoSmithKline electronics engineer who relocated to leafy Pelham, New Hampshire several years ago to pursue his dream of building the world’s finest multi-featured tube amps. Carol-Ann amps, as he has named his company, don’t follow any of the classic templates, but strive to capture superbly tone-forward designs in hand-wired amps rendered with impeccable build quality and top-notch components. The majority of Phillips’s creations are multi-channel lead/rhythm configurations with footswitching, buffered effects loops, and extremely usable master-volume controls (generally one per channel), along with other handy features that the gigging musician will appreciate. While the bulk of notable Carol-Ann amps have been larger 50- and 100-watters that really come into their own in a larger venue (although, again, their excellent masters make them impressively versatile), Phillips has also made forays into the world club- and studio-amps with models like the HS-2, OD3R and Tucana 3R. 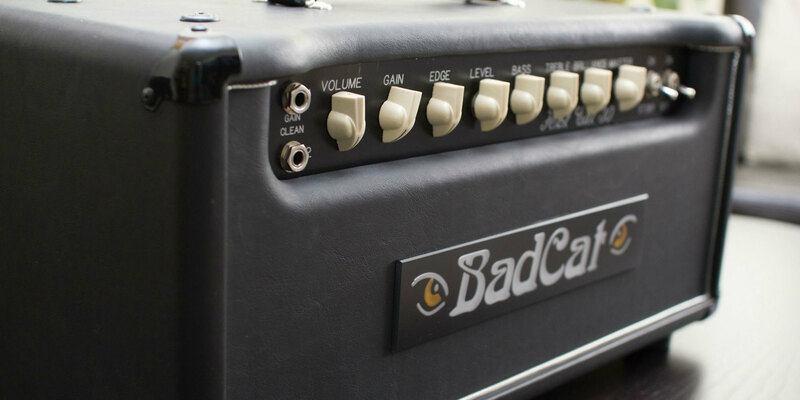 Otherwise, flagship models like the OD2, OD3, Triptik and Tucana are primed to marry elements of Marshall, Dumble, big-Fender and Trainwreck tone in a powerful format that doesn’t really ape any of them. A new offering, the Satin, is a 50- or 100-watt clean machine that pairs pedal platform with an entirely original reverb circuit that runs separate from the dry signal path. Recommended For: Tone junkies seeking complex, dynamic contemporary tones with three-channel versatility. Louis Rosano of Howell, New Jersey, has been building amplifiers professionally for more than 20 years, but has only gained significant attention for his Louis Electric brand in the past several years. The classic Louis Electric amp marries tweed era Fender-Gibson-Valco looks with original twists on proven circuit topologies, all hand-wired using top-flight parts. Until recently, Louis has concentrated mostly on grab’n’go 1x12" combos, though often with robust powerhouses wedged inside, although newer offerings have also introduced some head-and-cab options to the lineup. Much of Louis Electric’s creations strive for the classic tweed and early Marshall tones we hear in our heads, with twists to make them usable and portable for the gigging guitarist that doesn’t have his own roadie. Louis’s first model was the LE 58 (formerly Twinmaster), based on the late-’50s low-powered tweed Twin, which actually had the honor of replacing Danny Gatton’s original vintage Twin on the road before the Tele virtuoso’s death. The Buster and Tornado extend the 5E3 Deluxe platform to the power of 6L6s and EL34s respectively; the Baby Bluesbuster translates the formula to the JTM45 recipe; and the Tremotone (formerly Tremblelux) achieves 5G9 Tremolux tones with rich bias-modulated tremolo from a 6L6-based power stage. Louis has also designed amps to capture the tones of artists such as Keith Richards (KR12) and Hubert Sumlin (HS12), and has recently ventured into blackface territory with the Columbia Reverb, Deltone Reverb, and Evertone Reverb, homages to Fender’s Princeton Reverb, Deluxe Reverb, and Vibrolux Reverb, respectively. Recommended For: Keef-approved crunchy rhythm and old-school lead tones in a relatively portable EL34-based 40-watter. Although it wasn’t the first of the breed (see intro), Matchless virtually defines “boutique” for a great many players today. Founded in California in 1989 by Mark Sampson and Rick Perrotta, Matchless represents the quest to “build a roadworthy AC30,” and has been now been synonymous with top-tier Class-A tone for more than 25 years. Players will often use the misnomer “point-to-point” to describe hand-wired tube amps in general, but a look inside a Matchless chassis provides an easy definition of what the term actually means: inputs, tube sockets, pots, and more tube sockets connected directly one to the other by only the components (resistors and capacitors) soldered between them. In addition to the notable build style, Matchless is known for a signature tone, which exhibits lots of clarity and harmonic sparkle for lush, jangly clean tones, with rich, sweet, yet punchy lead tones when driven hard. Some players find the punchy high end in some Matchless models overbearing, yet that’s often an assessment made at home or in small rooms: get one up to gigging volume on a decent sized stage, and it cuts through the mix beautifully. The flagship DC30 marries together Voxy EF86 and 12AX7 channels (yep, this is where that whole thing got started) into a bold 4xEL84 output stage, while the Clubman and Chieftain do their trick with EL34s. Matchless’ current head honcho, Phil Jamison, has also introduced many of his own original designs into the lineup, including the three-channel Independence, a first for the maker. You will hear talk of Sampson-era and post-Sampson Matchless amps (Mark Sampson departed the company in 1999), implying that the former are superior, but I’ll tell you: I’ve owned and played several of both, and had my hands inside the chassis of both, too, and they are constructed to the same style, using components of the same quality, and the results yield equally great sounding amps. Recommended For: Professional guitarists looking for rich, dynamic, harmonically complex Brit-influenced tones that cut through on the big stage. Henry Heistand founded Redplate Amps in Phoenix, Arizona, in 2006, although he has been building, modifying and repairing tube amps for more than 40 years. Heistand’s forte lies in taking the blackface Fender platform—broadly speaking—and adding massively expanded functionality, plus in many cases a Dumble-esque lead stage, and delivering it all in a hand-wired package that has excited plenty of serious players over the past decade. Add it all up, and of course the results go way beyond the starting point. Between the switchable tone stages, footswitchable channels, boost functions, bypassable reverb circuits and buffered effects loops many models are among the most versatile hand-build amps on the market today. Redplate developed its reputation on the strength of many amps that blended complementary channels, pairing the customer’s choice of tweed, blackface, British and/or hot-rod channels along with other original Heistand creations to offer several voices in one package. The new RP series marries tweed and blackface plus an overdrive stage linkable to each, while the AstroDustDuo marries an American-leaning preamp with six-way voicing switch to two independent overdrive stages, with plenty of other bells and whistles besides. The recently introduced Savoy, Magica and BlackMagic models lean more heavily toward British overdrive, while offering American clean channels in the case of the latter two. In addition to its standard lineup, Redplate will combine virtually any of its available features and topologies to custom-order. Recommended For: Players seeking the versatility of multiple channels and drive stages in a relatively compact hand-wired amp suited to many venues. Part four in on ongoing exploration of the boutique amp world. In this edition, we're looking at Bad Cat, Friedman, 3 Monkeys, Bogner, Mojave, and Morgan. Dave Hunter is a writer and musician who has worked extensively in the USA and the UK. The author of The Guitar Amp Handbook, Guitar Effects Pedals, Guitar Amps & Effects For Dummies, The Gibson Les Paul and several other books, Dave is also a regular contributor to Guitar Player and Vintage Guitar magazines.